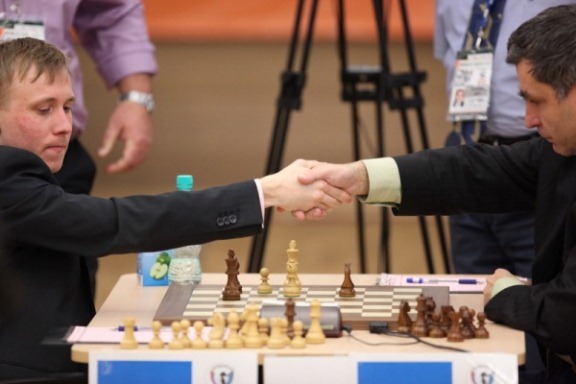 Russian commentator Sergey Shipov explained that the normal move is 8…0-0, which seems fine for Black. 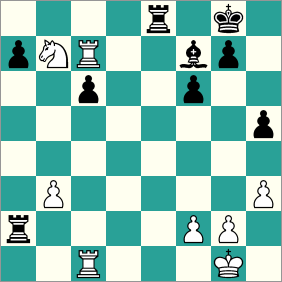 He also noted that a Brazilian had taken the pawn with 8…Nxd6, but dismissed that as the chess-playing exploits of someone who was clearly more of a footballer. 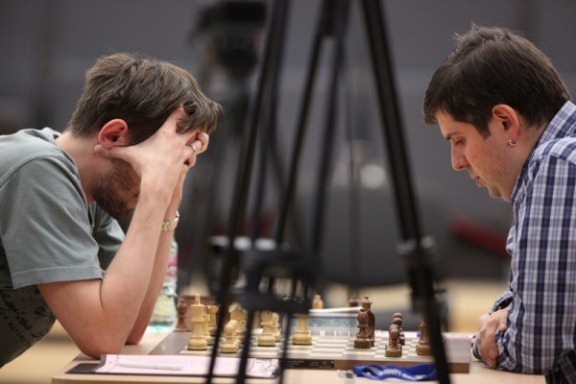 However, not for the first time in the final, Svidler took the unexpected option, which caused Grischuk to use up a lot of time. 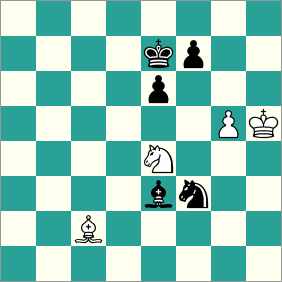 He revealed after the game that he’d been considering a long line: 9.Bxc6+ bxc6 10.cxd4 Bb6 11.Re1+ Be6 12.Bg5 Qb8 13.Ne5 Qb7 14.Qf3 Bxd4 15.Nxf7, until he realised Black can reply O-O! 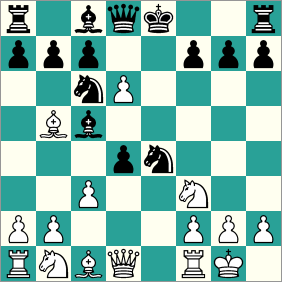 Forced to find an alternative Grischuk chose 9.Re1+ (a novelty, as the Brazilian game did indeed go 9.Bxc6+). 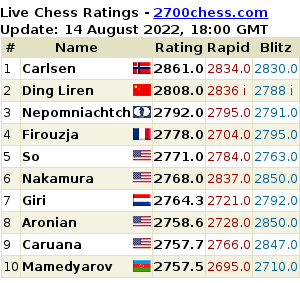 White had a better structure and, it seemed, real winning chances, but that was forgetting two things: Svidler’s recent run of four classical wins with the black pieces and, more importantly, Grischuk’s time-trouble brinkmanship. 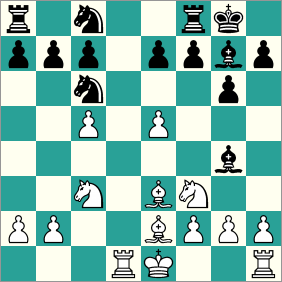 Grischuk played 29.Rxf7 and 29…Kxf7 came with a draw offer that was accepted (30.Nd6+ would follow). 79.g6! f5 80.Nd6! 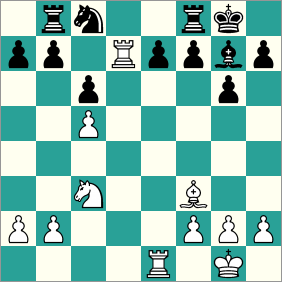 Bd4 (if you take the knight the pawn queens) 81.Nxf5+ exf5 82.Bxf5 Bg7 – and even such uncompromising fighters were forced to call it a day. 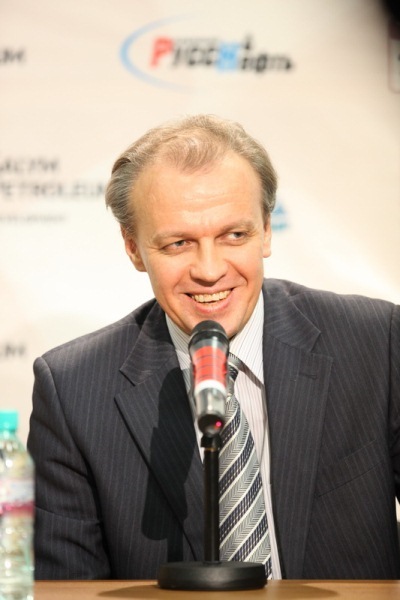 So the 2011 World Cup is almost over. 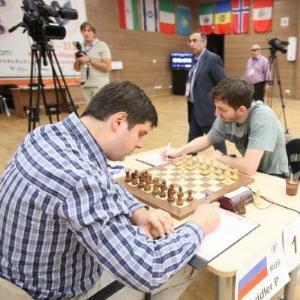 On Monday 19 September Grischuk must beat Svidler with the black pieces, while Ponomariov must overcome Ivanchuk with White. 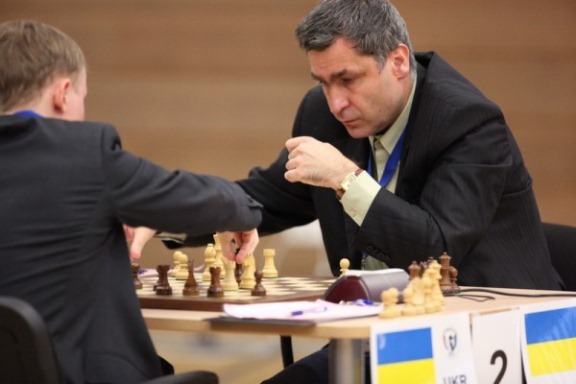 Otherwise Svidler will win the World Cup, and Ivanchuk will finally have qualified for another Candidates Tournament. Don’t miss it!